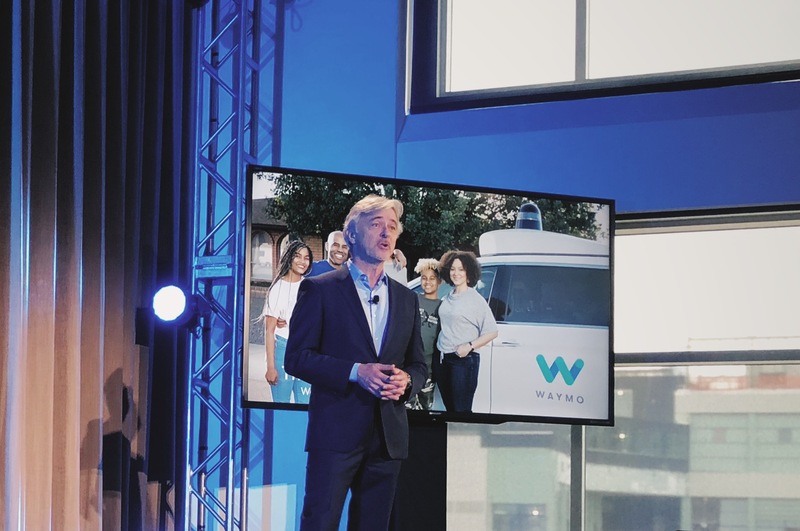 This morning at Chelsea Piers in NYC, Waymo CEO John Krafcik announced a new model of car powered by Waymo’s self-driving technology. Dubbed the world’s first premium fully self-driving car, Waymo has partnered with Jaguar Land Rover to bring the Waymo-outfitted Jaguar I-PACE to the public. Waymo plans to outfit 20,000 units to be used for Waymo’s public self-driving service over the next few years, which will allow the service to offer 1 million rides per day. This is the sixth model in Waymo’s lineup, including a small car, an SUV, a firefly prototype, a minivan (the Pacifica we’re all familiar with) and a semi-truck for operations. “We want to build a self-driving car for every passenger and every trip,” said John Krafcik at the reveal. He also said that the Jaguar Land Rover model also has a bigger battery, allowing the car to drive all day. Moreover, this partnership signals a move across the Atlantic for Waymo, expressing interest in bringing self-driving cars over to Europe. Waymo has already announced that Waymo would bring self-driving service to the public in 2018. As part of the deal with Jaguar, Waymo plans to have 20,000 units on the streets, starting in Phoenix with about 100 square mile area, roughly one-sixth of the Phoenix metropolitan area. Krafcik was extremely vague at the event when asked how many cities he’d like to see Waymo in in the next two years. “More,” he said simply. This comes at a time when self-driving tech is having a bit of a publicity crisis. One of Uber’s self-driving cars was recently involved in a fatal collision with a pedestrian, which may slow public adoption of the technology. In turn, Uber’s self-driving testing has been suspended in the state of Arizona, where many AV companies test their fleet. When asked about the accident at today’s press event, Krafcik fell back on Waymo’s comments from this weekend. Earlier this year, Waymo placed an order for even more Chrysler Pacifica minivans from FCA to outfit its self-driving fleet. This is on top of the original 500 vehicles already supplied to Waymo, as the company begins to ramp up to its 2018 public launch. Moreover, these companies seem to be racing to launch public fleets first. GM’s Cruise fleet is supposed to launch in 2019, with Uber working to get their fleet out by mid-2019. This also comes on the heels of a long and gritty legal battle between Uber and Waymo over self-driving IP, which was settled in February.